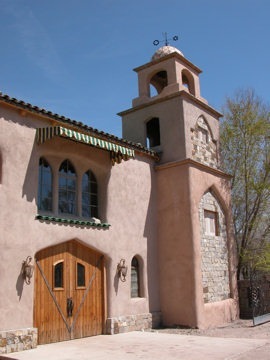 Several wineries dot the Albuquerque landscape. Vineyards surrounded by ancient cottonwoods mark Casa Rondena in the North Valley village of Los Ranchos de Albuquerque. The estate with a distinctive Old World ambiance welcomes tasters. The winery’s red wines – especially the Meritage Red, Cabernet Franc and Clarion – reflect vintner John Calvin’s dedication to quality. Savvy visitors bring a sandwich or picnic lunch to enjoy the lovely setting with a bottle of their favorite vintage. Travelers along I-25 in Albuquerque are frequently surprised to find one of the countries largest producers of sparkling wines at Gruet Winery. Members of the Gruet family came from France more than 20 years ago to establish the winery focusing on sparkling wines made in the tradi tional champagne method. 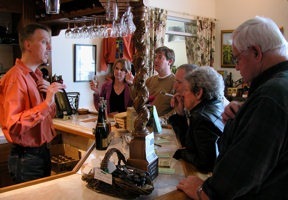 Today they produce seven different sparkling wines plus several still wines. The tasting room is open Monday through Saturday with tours of the facility at 2 p.m. The New Mexico Wine Growers Association lists other wineries located near Albuquerque.